On March 7, IHOPs across the country hosted National Pancake Day in their restaurants, raising money for Children’s Miracle Network Hospitals and other local charities. But not everyone who wanted to enjoy National Pancake Day at their local IHOP had the chance to go out an celebrate – including young patients and families at Arnold Palmer Hospital for Children. But thanks to the generous team at IHOP, these patients and their families had a special pre-party just for them! 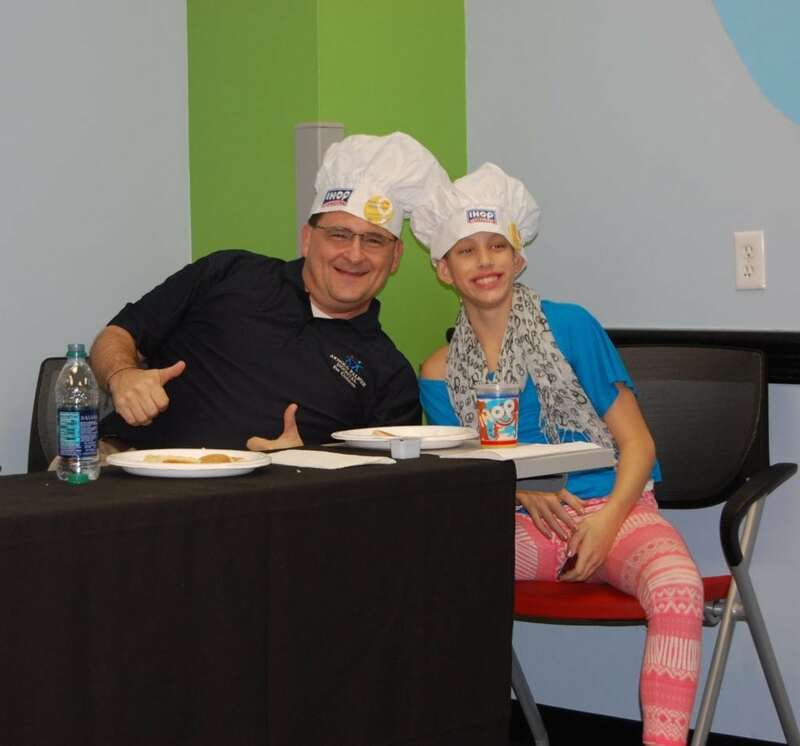 IHOP team members made pancakes cooked-to-order at Arnold Palmer Hospital for Children on February 21. In addition to the pancake party, IHOP even held a pancake eating contest! Contestants included doctors & nurses, hospital administration, Miss Winter Park and even a Miracle Child! Tied for first place were winners Dr. Robert Sutphin and Miracle Child, Hannah, each eating 14 silver dollar pancakes! IHOP partners with CMN Hospitals for National Pancake Day each year, and since 2006 has raised more than $18 million for member hospitals. 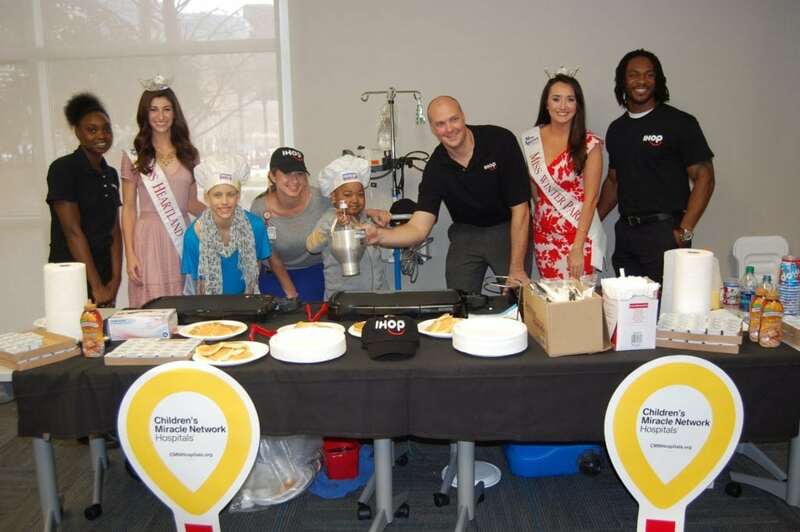 In Florida, IHOP restaurants support CMN Hospitals with a second campaign each October, and shows its commitment to helping save and change the lives of sick and injured kids year-round through special events like this. Thank you to IHOP for showing what it truly means to be For The Kids!